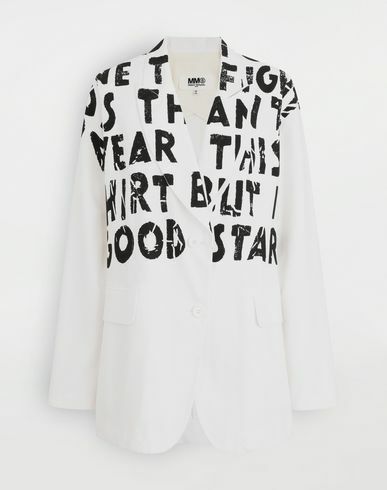 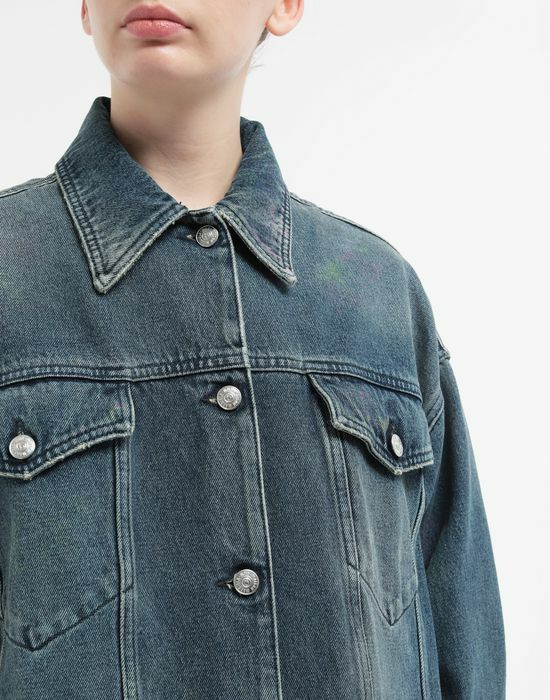 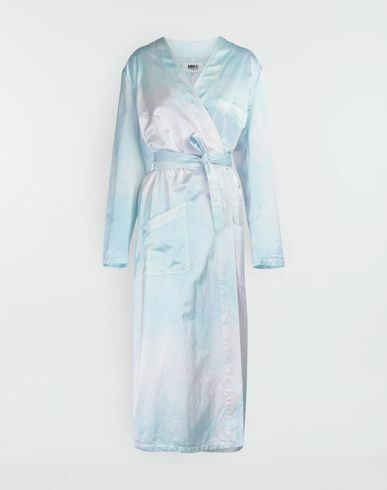 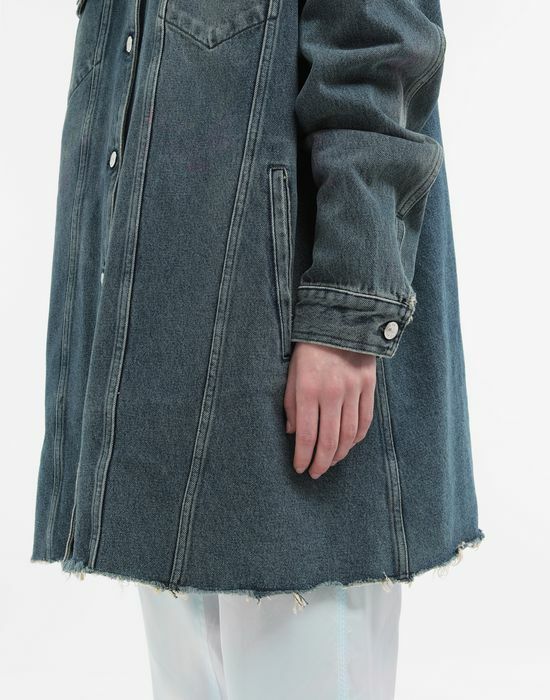 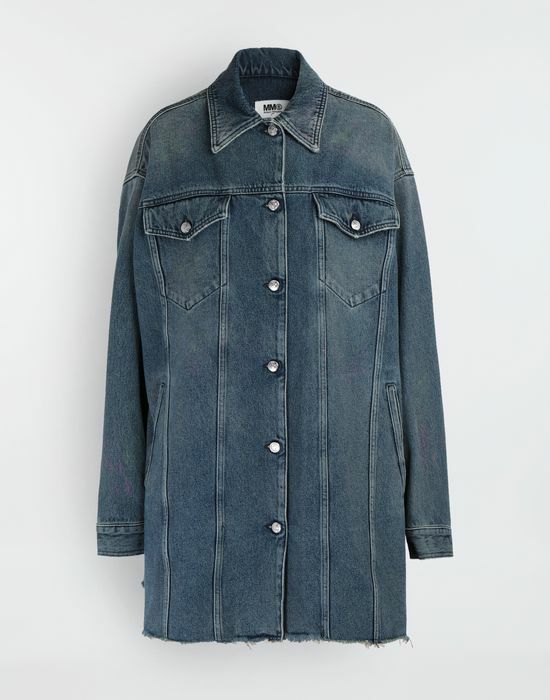 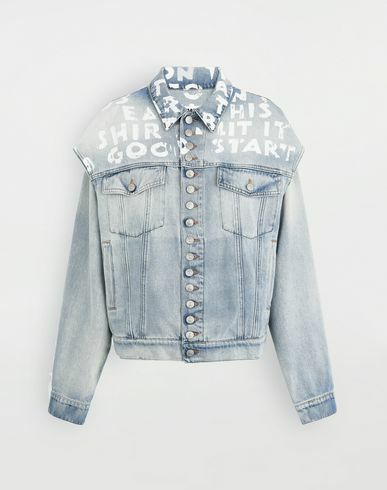 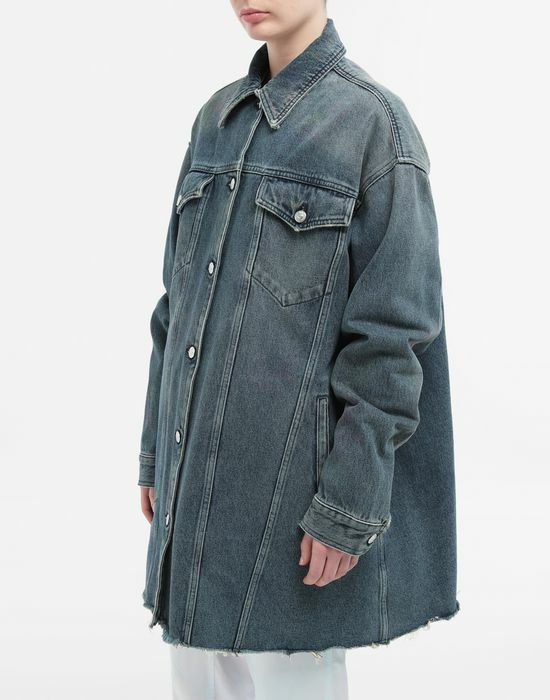 This long-line denim jacket presents a unique highlighter marker pen treatment all-over, making each piece unique. 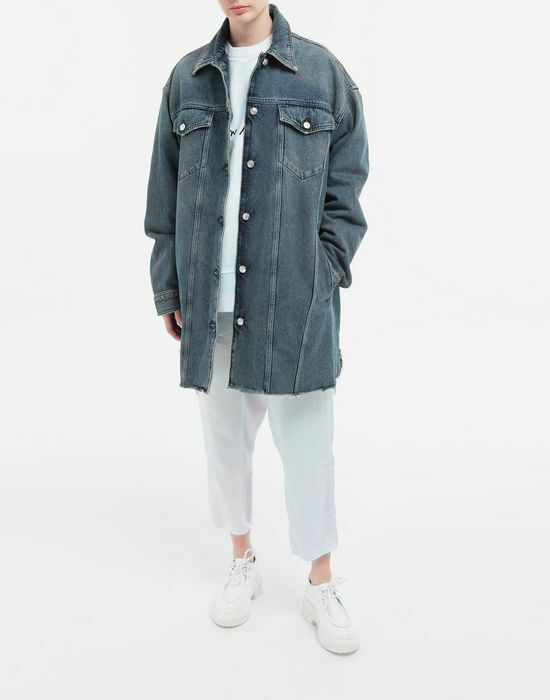 Finished with stonewash effect and undone hems, it is featured with a smart collar and envelope pockets at the chest. 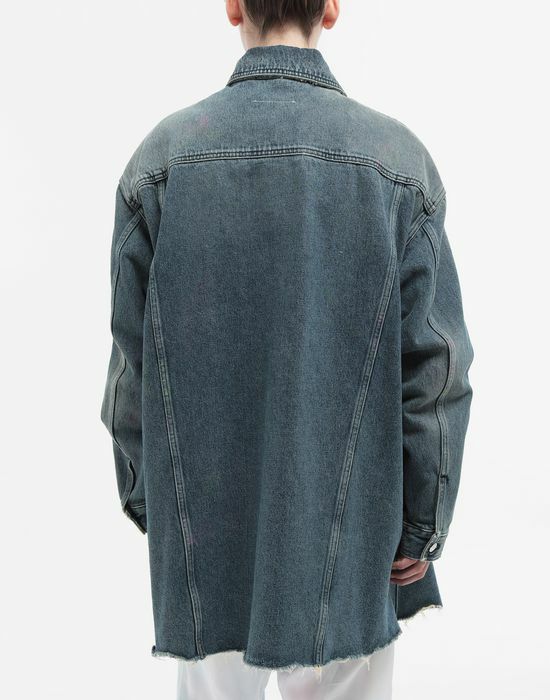 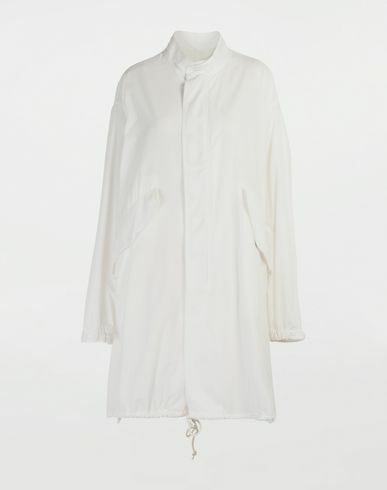 The back is marked with the Maison's iconic straight white stitch.